Helping users identify the circumstances under which diagnostic errors can occur and engage all team members, especially patients and families. 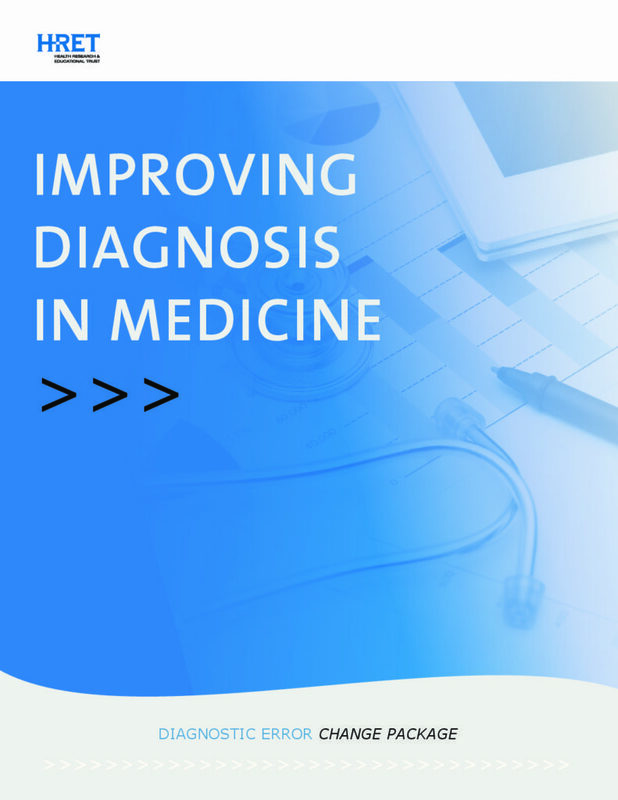 The Improving Diagnosis in Medicine change package is the result of a collaboration between the Health Research & Educational Trust (HRET) Hospital Improvement Innovation Network (HIIN) team and the Society to Improve Diagnosis in Medicine (SIDM), with contributions of patients and their families. This resource is a tool to help reduce patient safety incidents caused by actions during the diagnostic process. A menu of strategies, change concepts, and specific actionable items that any hospital can implement. Case studies that will guide users in adapting tested interventions and building the infrastructure and support necessary to develop a learning organization capable of responding to adverse events related to diagnosis, thus reducing the risk for harm to patients. This material is intended to be complementary to literature reviews and other evidence-based tools and resources. Special acknowledgment is made to Doug Salvador, Robert Trowbridge, and Heather Sherman for their work in developing the content of this change package. We also want to acknowledge SIDM and the Institute for Healthcare Improvement (IHI) for an earlier version of this change package funded by the Gordon and Betty Moore Foundation, which formed the basis for this version. Learn more about the ways to reduce patient safety incidents caused by actions during the diagnostic process.